Garden windows are a fun way to grow fresh herbs or brightly colored flowers in your Charlotte, NC home. If you have a green thumb, you might want to add garden windows to your home. These windows are often placed over a sink, whether in the kitchen or another room, and open outward from the top and/or sides. Similar to a greenhouse, garden windows have glass panels that surround a shelf suspended in the middle, so plants can get as much sunlight exposure as possible, while remaining indoors and being protected from wind and rain. The side panels typically will vent open to add more airflow for the plants. It is a fun way to grow fresh herbs or brightly colored flowers to liven up your space. Garden windows extend beyond the walls of the house. If your home is only one story, you should avoid installing them in places that get a lot of foot traffic outdoors, such as a patio or walkway. The frames for garden windows come in a variety of colors, so you can select something that matches with your home’s color scheme. Newer windows have better insulation, so they can prevent air from leaking outside. Since garden windows have more ventilation on the sides, they can also allow a cool breeze to flow through the home and reduce the cost of utilities. 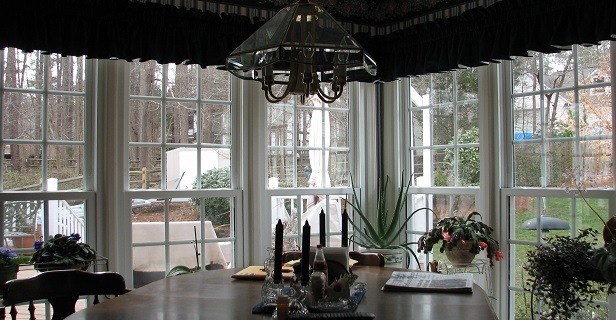 At Crown Builders in Charlotte, North Carolina, we offer a lot of options in garden windows. We have excellent service and can find the window that fits your needs. Even if your green thumb needs a little help, a garden window can make it easier to grow plants without having to go out in the yard or on the patio to make sure they have enough water and sunlight.